In our collective quest to explain what we are, we humans often take great pains to quantify ourselves – in other words, to explain what makes us “tick”. Some argue that we are merely biological soup, others, like Keats, suggest that each one of us has a “divine Spark” that makes us individual, rational, and creative. Many suggest that each of us has this immediate, invisible thing called a “soul” (usually located just below the breastbone, according to generations of children! ), and some feel that we are products of a deity who gave us free will and then sat back to watch us work. None of these is invalid. Why? Because we simply don’t know, biologically or metaphysically, what makes us us. In my own thinking, though, I tend to err on the side of life-creating-life, and feel quite strongly that each one of us is the sum of our own experiences, and that only through acknowledging and learning from each one of these experience, can each of us grow as an individual. This statement references so much philosophy, including Nietzsche’s idea that “that which does not kill us makes us stronger.” What a hard concept to teach a child! But when Rafiki puts it in milder terms and includes the element of choice, a child can be led to understand that yes, rotten things in life will happen. And the choice is entirely yours: find a takeaway from each of these negatives and use it to the advantage of your character, or choose to live as a victim, wallowing in the despair made by circumstances often beyond your control. Stuff happens. 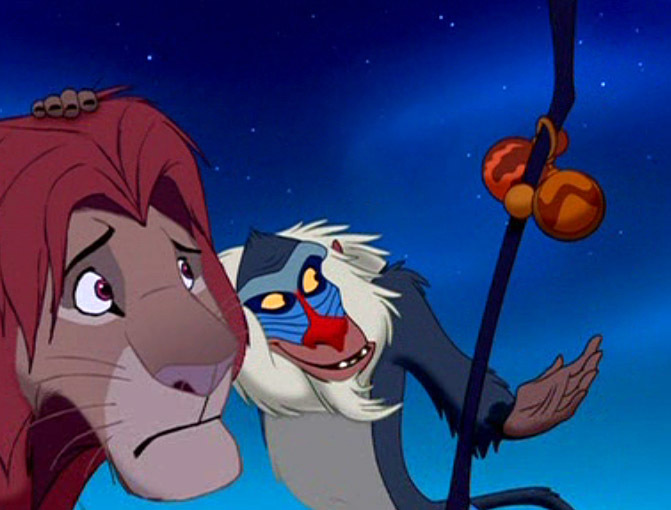 That’s another way to express, I think, what Rafiki wants us to remember. How we respond to that “stuff” is what sets us apart from one another. An amazing group of Disneyphiles is spearheading a fundraising drive to an incredible charity called Give Kids the World, a retreat that accepts terminally-ill children and their families for a no-cost vacation of a lifetime, a lifetime that, all too sadly for these children, is cut short by disease. It is good that they are having fun. And we all need to understand how impactful Rafiki’s statement is. Each of us can make the choice to sit in silent shadow, or to burst out in laughter now and again, drawing strength from those around us and from our own inner reserves. What is life – however short – without a strong backbone and a loud guffaw? I challenge each of you to take Rafiki’s message to heart. 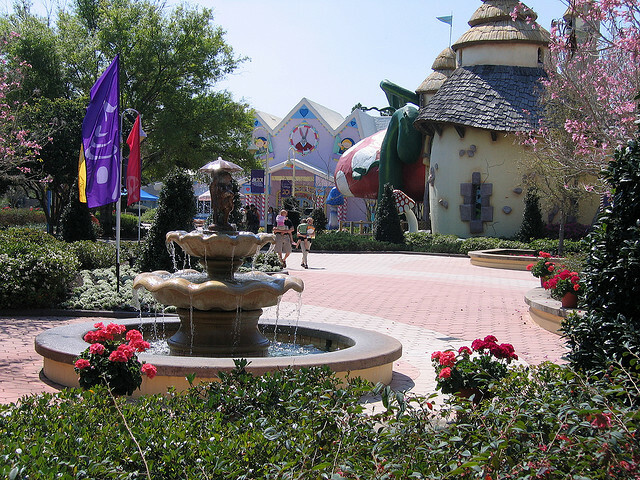 Make the choice to help someone else and give a terminally ill child the chance to enjoy a week full of magic at Give Kids the World. Visit http://www.firstgiving.com/fundraiser/DisneyFansGKTW/reunion and make a donation. Every dollar is one more smile you can give a child. And may their inner strength inspire each of us to make the choice to live in laughter. Written by fellow Disney Mom & dear friend: Deborah B. Deborah is a proud member of the Walt Disney World Moms Panel. She is not a Disney employee. The postings on this site are her own and do not necessarily represent Disney’s positions or opinions. This entry was posted in Charities, Disney Movie Lines - Cinema Sunday, Give Kids the World and tagged Deborah - Movie Lines Posts, Disney Movie Quotes, Give Kids the World, Give Kids the World Village, Rafiki, The Lion King. Bookmark the permalink.